When a health concern comes up, how do you know what kind of health care provider to see? What can you expect from your primary care team? What testing should you receive as part of “routine” care? What do you need to know about accessibility of medical facilities and your rights as a patient living with a disability? 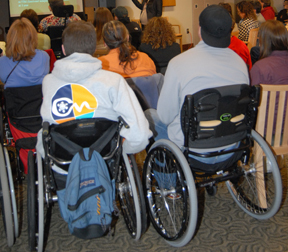 Get answers to these and other questions about managing your health care in this presentation by Dr. Michael Stillman, an internal medicine physician who is an expert in primary care for individuals with SCI. Presented on October 25, 2016 at the University of Washington. Presentation time 60 minutes.After watching the video, please complete our two-minute survey. You can also watch this video on YouTube, with or without captioning. For a complete list of our videos, click here. 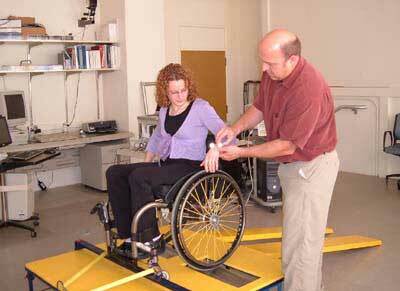 Johnston MV, Diab ME, Chu BC, Kirshblum S. Preventive services and health behaviors among people with spinal cord injury. J Spinal Cord Med 2005;28(1):43-54. Donnelly C, McColl MA, Charlifue S, Glass C, O’Brien P, Savic G et al. Utilization, access and satisfaction with primary care among people with spinal cord injuries: a comparison of three countries. Spinal Cord. 2007;45(1):25-36. 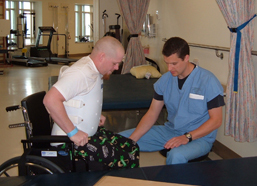 Stillman MD, Frost KL, Smalley C, Bertocci G, Williams S. Health care utilization and barriers experienced by individuals with spinal cord injury. Arch Phys Med Rehabil. 2014;95(6):1114-26. Cardenas DD, Hoffman JM, Kirshblum S, McKinley W. Etiology and incidence of rehospitalization after traumatic spinal cord injury: a multicenter analysis. Arch Phys Med Rehabil. 2004;85(11):1757-63. Morrison EH, George V, Mosqueda L. Primary care for adults with physical disabilities: perceptions from consumer and provider focus groups. Fam Med. 2008;40(9):645-51. Sanchez J, Byfield G, Brown TT, LaFavor K, Murphy D, Laud P. Perceived accessibility versus actual physical accessibility of healthcare facilities. Rehabil Nurs. 200;25(1):6-9. Graham CL, Mann JR. Accessibility of primary care physician practice sites in South Carolina for people with disabilities. Disabil Health J. 2008;1(4):209-14. Frost KL, Bertocci G, Stillman MD, Smalley C, Williams S. Accessibility of outpatient healthcare providers for wheelchair users: a pilot study. J Rehabil Res Dev. 2015;52(6):653-62. Lavela SL, Weaver FM, Smith B, Chen K. Disease prevalence and use of preventive services: comparison of female veterans in general and those with spinal cord injuries and disorders. J Womens Health. 2006;15(3):301-11. Thompson IM, Goodman PF, Tanger CM, Lucia MS, Miler GJ, et al. The influence of finasteride on the development of prostate cancer. N Engl J Med. 2003;349:215-24. Craven BC, Robertson LA, McGillivray CF, Adachi JD. Detection and treatment of sublesional osteoporosis among patients with chronic spinal cord injury: proposed paradigms. Top Spinal Cord Inj Rehabil. 2009;14(4):1-22.